“Y’know, it’s not too late to back out now.” Malefica offers me again for the nth time, even as we are already standing face-to-face. “If this is the only way to save the Doc, I have to do it.” I tell her as I watch her henchmen surround us, prepared to watch. Little Miggy was also brought outside by one of the henchmen to watch the duel. The large ghoul comes out as well as Kumar, who seems eager to see me lose. He heckles me, but I ignore him. “Oh well, don’t say I didn’t warn you, kid. You won’t like what you see.” Malefica chuckles and orders one of her henchmen to play her battle theme. “Just no high-tiered vampiric powers or magic.” I remind her. The only exception is switching to our dark form. “Right, right. Whenever you’re ready, just switch to your dark form. That will signal the beginning of our bout.” Malefica grins, indicating that she thinks that this will be an easy win for her. But there’s no way I’ll let her beat me. I concentrate and tap the inner vampiric energy inside me to gain dark energy. As soon as I feel the dark mist appear, my form alters a bit, gaining more visible veins on my cheeks and slightly pointier ears. 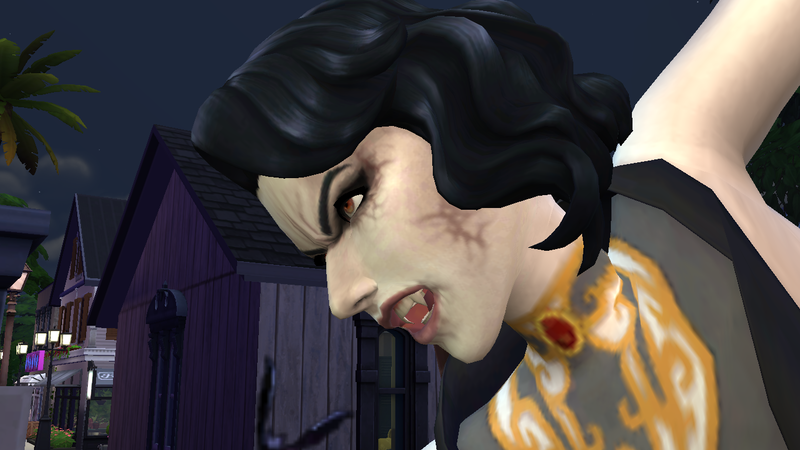 The Doc told me that a vampire’s dark form is what they truly are, and it changes depending on their level of power. He’s also one of the few vampires to have seen the Grand Master’s true dark form in person. Wait a tick, if the Doc’s a really powerful vampire, how come his dark form is not that different from his usual self? Perhaps he’s hiding his real power. After shifting to my dark form, I switch to a battle stance, bracing for whatever Malefica will become. Dark mist envelops Malefica for a moment and out comes a more refined-looking version of her, like the classic vampire countess that you’d see in movies. As she finishes her transformation, I could already tell that she’s quite powerful. Probably as powerful as the Doc or even more. “Prepare yourself, fledgling. You now face the 4th Archon of House Malefica, Margaret Theodora Malefica!” Malefica speaks as her necklace gives off an eerie glow. There’s something in her voice that changed, as if she now sounds like a real countess, not like her childish and energetic tone earlier. But before I could even admire her dark form, she lunges at me at full speed with sharp fingernails out. I attempt to parry her attack by pushing her extended lunging arm out of the way, but it is actually a feint as her other hand slashes at my mid-section, and I back away from her with one of my hands on my abdomen. The attack scratches me but my natural vampiric regeneration helps treat the scratch. Then I try to flank her from the side and throw a punch, but she parries it without any trouble. I take a step back and perform a feint punch, but she reads that and performs a roundhouse kick which hits my right shoulder, throwing me off balance. I hit the ground hard, almost slamming into a tombstone. I manage to get back up on my feet, but she grabs the collar of my shirt and throws me into the opposite direction. My back slams hard against a tree and my vision almost blacks out for a moment. “Uncle Tony!” I hear Miggy call out as I lie face down on the ground, watching for Malefica’s next move. “Go, Madame! SMASH HIS FRIGGING GLASSES!” Kumar cheers with passion as the other henchmen do the same. Malefica then throws a straight punch aimed at me and I roll to the side in the nick of time. It creates a large thump as it destroys the base of the tree, felling it to one side and crushing a few tombstones. Her henchmen rush away from the impact as I keep myself focused on Malefica. She then moves towards me as I prepare another battle stance, one that I learned from the Doc. It involves storing power and enduring incoming attacks to throw back at the enemy, but I haven’t quite mastered it yet. I perform the stance with legs apart, both fists at waist level, and concentrate. 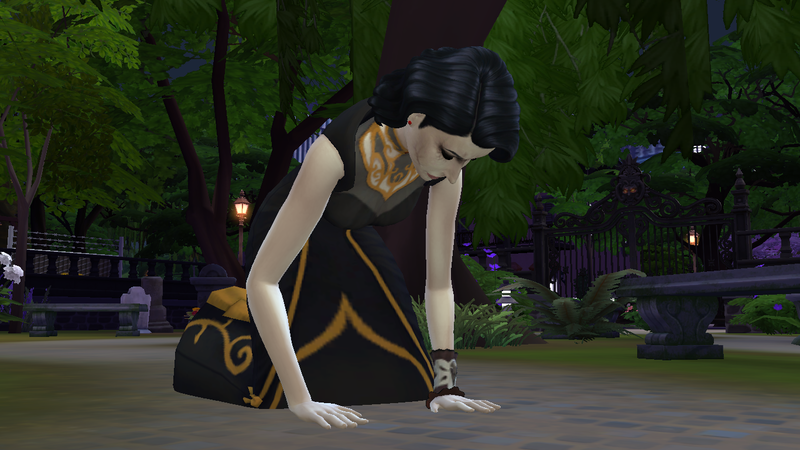 Malefica throws another punch and I get ready to endure it, but it just knocks me back a few feet away and I lose my balance by tumbling over a park bench. Malefica then starts to laugh. At that moment, I recover and make a run for it to tackle her headfirst, which catches her off-guard. While holding Malefica in my arms, I set a course towards the nearest tombstone and crash her into it. I back away, and Malefica now looks mad, hissing at me. She then performs a leap in the air to make a downward slash, but I hide behind another ornate tombstone. 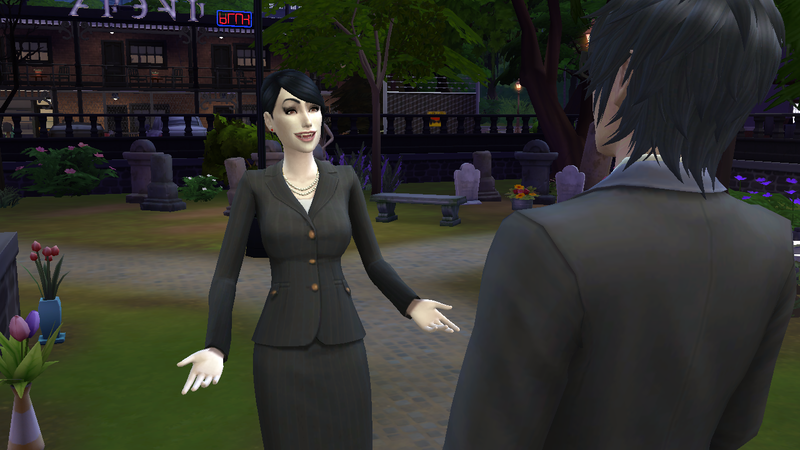 The tombstone breaks into pieces, but Malefica now appears to be fixated at her hand. Seeing an opening, I grab her by the waist to prevent her from using her next attack, but she overpowers me and pushes me away. “Away, knave! A mere fledgling such as yourself has no right to touch me!” Malefica taunts in that almost-royal tone again. She then picks up a tombstone fragment next to her with one hand and throws it at me as if it were a baseball. That was half a tombstone, and I get nicked even if I dodge to the side. However, Malefica doesn’t relent and performs a slash with her fingernails which creates cuts in my suit. At first, I thought that it was just a feint, but then I notice the little scratches that it created underneath my clothes. That was literally a wind slash. She performs another wind slash as I take cover behind a tree, letting it absorb the slashing damage for me while I take a look on the other side. But Malefica was already there. Malefica goes for a slash to the throat as I duck by bending backwards, feeling a slight touch of her fingernails against my neck. I see just how razor-sharp her fingernails are and try to think of what to do next. I raise one of my legs to perform a kick, like what I saw in a movie before. In order to gain some distance, I back away from Malefica and notice that she looks pissed. That kick didn’t sit too well with her. Malefica screeches as she goes into a frenzy, slashing with her fingernails to perform more aerial slashes. Seeing no cover, I perform the endurance stance and brace all of her attacks. I now have multiple scratches all over my body while Malefica doesn’t seem to have taken any damage yet. 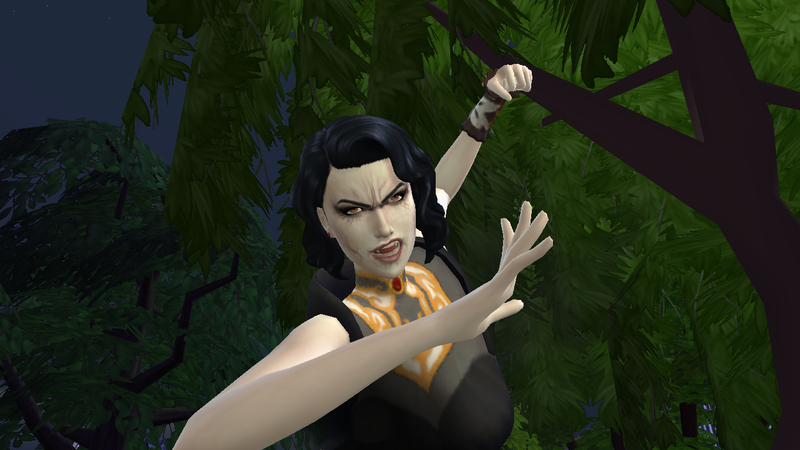 “Victory is mine.” Malefica declares as she punches me to the gut. The punch forces me down to the ground and I look at Malefica’s cold eyes. So this is the power of an Archon. Maybe I bit off more than I could chew. It was a gamble, and I tried. Preston and Park should be able to finish the job. But before I could resign myself to my fate as a child, I notice a gem around her necklace giving off a faint glow. Could that be the source of her power? I could yank it off her and see where this fight goes. If that gem is making her stronger, then she’s cheating. I need to get that necklace or gem off her somehow. So I stay down on the ground pretending that I have been defeated. Malefica then leans close to taunt me. Using this opportunity, I get up and grab Malefica by the waist, using my feet to launch us into the air. Malefica attempts to break free from the hold by performing another aerial slash, but I use my other hand to grab the gem off her necklace. I then use my vampiric strength to slam Malefica down to the ground, making her hit a tombstone. She recovers from the impact and attempts to slash me, but it doesn’t slash the air this time. She misses and I counter by giving her a backhand slap to the face. 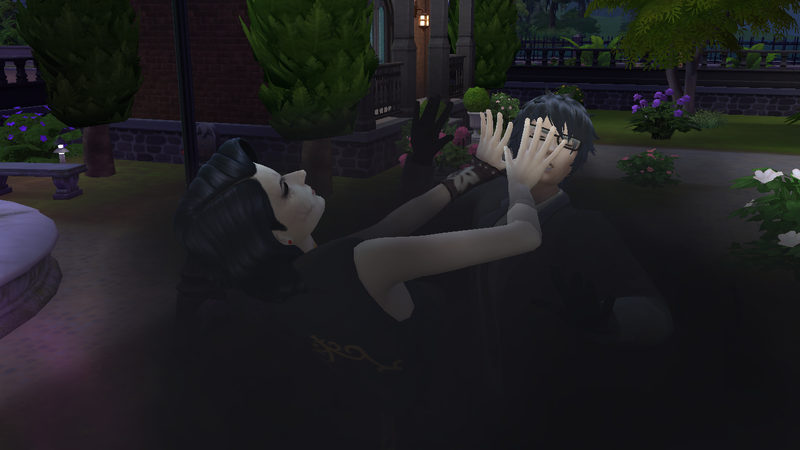 Malefica attempts to punch me straight in the face, but I catch it with my fist. A strong hit, but not as strong as her other attacks earlier. I repel her arm and deliver a straight kick to her gut, forcing her down to the ground. “MADAME!” Malefica’s henchmen shout. I sense genuine concern in their voices as I watch the lady Archon struggle to get up. She must be a very good leader to her henchmen. Malefica raises a hand, signaling that the duel is over. Two of her henchmen including Kumar run up to her to form a barricade and draw their weapons, but she waives them off. “No need for that, my dears. I admit defeat.” Malefica says as she gets up. Kumar and his two fellow henchmen back away with their silver crossbows still aimed at me. She then orders them to stand down. “Vampires like us will do anything to win, remember that. I’m not very good at physical duels, you see. But I was pulling off the ol’ countess act so well, don’t you think? Do you know how long I’ve always wanted to talk like that?” Malefica returns to her old self as she chuckles. “You still lost. Now you have to fulfill your part of the agreement.” I cross my arms looking smug. Kumar then objects by aiming his crossbow at me again, with one of his fellow henchmen failing to stop him. “Then you’ll have to find other means. Maybe the Doc will help you if you turn him back to normal.” I suggest. “Hm. 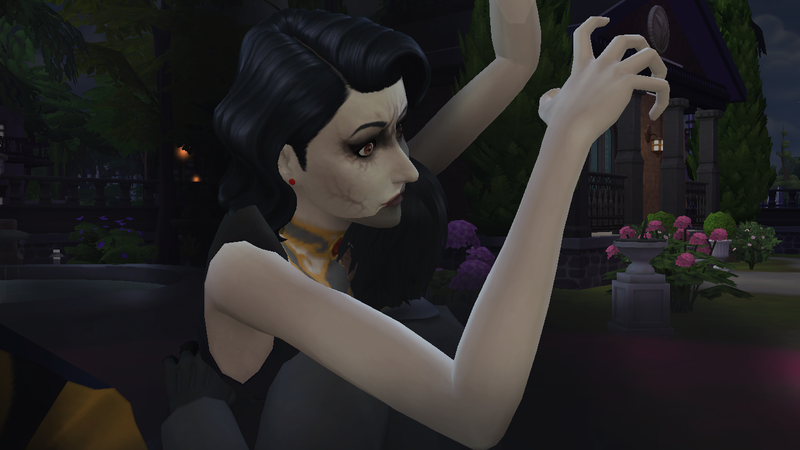 I never thought about it that way.” Malefica seems to have come to a realization as I watch her henchmen start tidying up the graveyard, including the fallen tombstones. Little Miggy then runs up to congratulate me, and I give him pat on the head. “You did it, Uncle Tony! You won!” Miggy says with excitement as he gives me a hug. 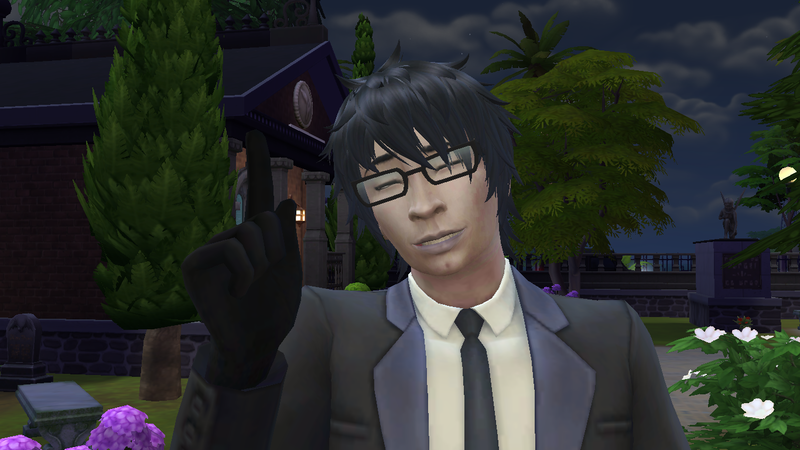 I just look at the defeated Malefica and point at Miggy with my eyes. Malefica seems to get my message. “Right, no more tricks. I’ll help you restore Domingo back to normal.” she says with a more sincere tone this time and extends a handshake. Sensing no more hostility from her, I reciprocate the gesture and shake her hand. Now I wonder how Preston and Park fared? I’d better tell them to come here soon. The sooner we get the Doc back to normal, the better. But this duel just proved that I need to be stronger. I may have won, but it was a fluke that I noticed her source of power. I might not be so lucky next time. And then my phone rings with a message from Preston. A very important one.